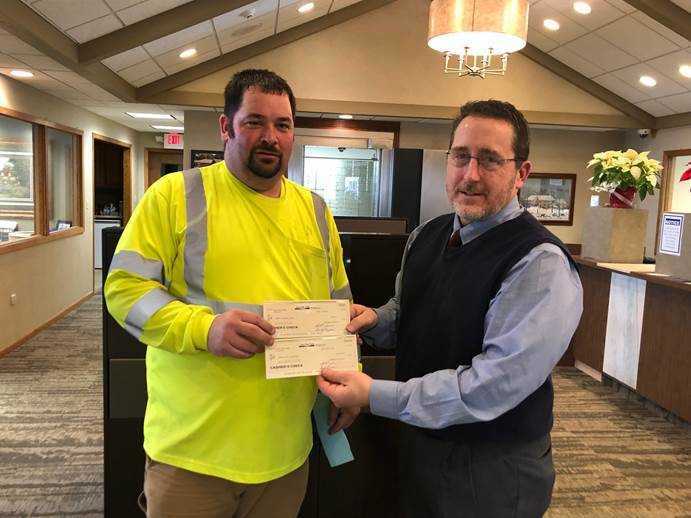 Chris Poeckes (left) of the Remsen Fire Department, accepted checks from Scott Jones (right) of Iowa State Bank. Iowa State Bank donated $1,200 to the Remsen Fire Department for new equipment, such as boots and hoses. Iowa State Bank also gave a $100 donation for the Fireman's Dance.